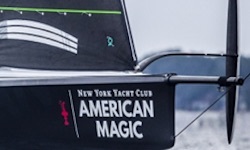 Rockledge, FL (January 11, 2019) - New York Yacht Club American Magic, Challenger for the 36th America's Cup, today announced SeaDek Marine Products as an Official Supplier of the team. SeaDek has outfitted multiple American Magic support boats with its industry-leading non-skid, closed-cell PE/EVA products. 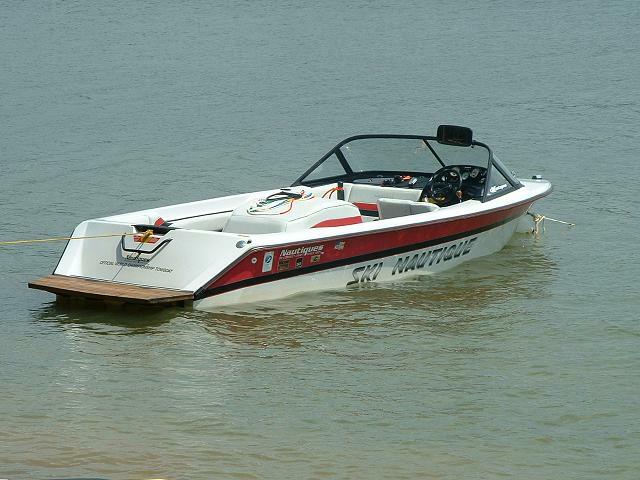 SeaDek products are also in use aboard the team's advanced test boat, the AM38. "SeaDek was the clear choice when it came to outfitting our boats with the best non-skid products you can get," said Terry Hutchinson, Skipper and Executive Director of American Magic. "Our experienced sailing, production, shore and support teams know that SeaDek products are safe, strong, easy to apply and look good. We are very excited to have SeaDek as part of our team going forward." "The traction, comfort, protection and shock absorption provided by SeaDek decking make a big difference on all types of boats in use by the team," said Jason Gardner, Vice President of Marketing and Advertising at SeaDek. "We are excited to help American Magic deploy our products in challenging marine environments around the world. We are proud to work alongside a U.S. America's Cup Challenger as they pursue the highest prize in sailing." SeaDek manufactures a wide range of PE/EVA non-skid products for OEM boat builders, aftermarket customers, and dealers. In addition to custom products, SeaDek offers an extensive line of retail items, including DIY sheet material, anti-fatigue helm station pads, coaming bolsters, and more. As a safe and comfortable alternative to molded-in non-skid, paint-on textures and other marine traction products currently available, SeaDek provides exceptional traction and aesthetically pleasing stylistic options. Made from UV protected non-absorbent PE/EVA foam, SeaDek utilizes an acrylic-based 3M™ pressure sensitive adhesive for a lasting bond and simple peel-and-stick application. With a wide array of colors, textures, and thicknesses available, there is a place for SeaDek on every boat, and its quickly-growing network of SeaDek Certified Fabricators and Installers has made getting custom SeaDek easier than ever. Learn more at www.seadek.com.